May their prayers be with us! May the Memory of the victims be Eternal. It is now. May we have their intercession and blessing. I'm with the camp of 13 million Americans that believe politicians are, or are controlled by, Reptilians. I think only monks can solve this problem. It doesn't seem right that they prefer to ignore it. Modern Charismatic Movement Similar to Charismaticism in the Early Church? I would be interested in your ideas on it as well as how Fr. Trader's book addresses the topics in it. About the author. Hal Smith converted to Orthodoxy at age 17. He works as a Russian-English translator and attends an OCA parish in Eastern Pennsylvania. He administers Rakovskii – a website about Old Testament prophecies. I'm curious as to the author's qualifications. Is he a historian? An anthropologist? A theologian? Just a hobbyist? What qualifies him to publish an article on this subject? I can understand the similarities between the phenomena. Maybe it is a more fundamental or broader psychological issue: Maybe the Hellenistic pagans and their oracles sometimes were doing similar things (eg. "tongues). The Methodists' 19th c. "Great Awakening" looks very similar to me in major respects, even though Methodists nowadays are about as mellow as the Presbyterians and UCC. One time during the Great Awakening, IIRC, a young man entered a dance hall and a girl invited him to dance, but instead of dancing, he started preaching Low Church Protestantism, and suddenly the bodies hit the floor, "thud" "thud", the young man recalled. It was a kind of 19th century "slain in the spirit" effect like a stage hypnotist putting a crowd to sleep. I believe it's partly as you describe here and partly demonic possession. In Peace Let Us Pray to the Lord! It sounds from the thread that he and Fr. Romanides claim that the Biblical gift of tongues was an inaudible (except for the Pentecost event) "prayer of the heart", which doesn't sound correct to me. In any case, I know that it would be better to consult his book directly, and there are several aspects to Pentecostals, not just Tongues. I haven't read this book, but I have met Fr. Alexis. In so far as Fr. Alexis is a canonically ordained Orthodox Christian priest, an Athonite monk of many years experience, a graduate of an Orthodox theological seminary and a former lecturer in Patristics, I would be far more inclined to take his word over that of an online pundit on Amazon.com, whose identity, legitimacy and, most importantly, connection to the Orthodox Church is completely unknown. Father Trader makes the point not that tongues is silent, but rather that it does not consist of inane babbling. I would like to talk about the charismatic issue with you on another thread. I won't be argumentative. Would you be OK with that? RE: discussing the essay and reading it. This is not to be hurried. It is a serious, but very sensitive discussion, critically analysing Christianity, the early Church, Charismaticism, etc. and considering the Orthodox view. May I ask why this subject is of interest to you? Do you have loved ones in the Charismatic Movement? 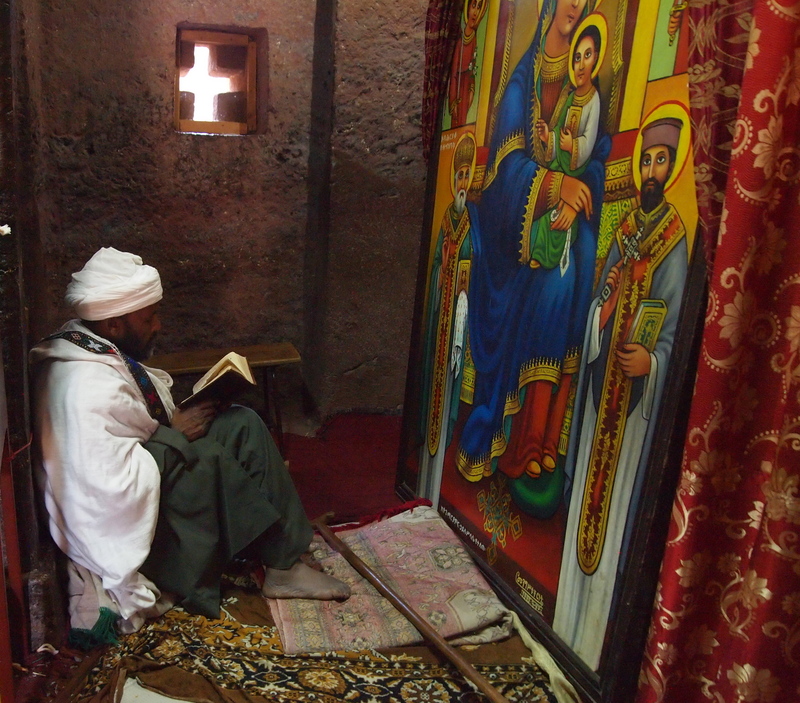 Have you spent time up close and personal with its adherents? Is this merely an academic issue for you? Are you interested in developing a comprehensive polemic against Charismatism yourself? Or an apologia for certain aspects of it? Kind of trailed off there, but you may fix that in editing. I'm guessing your referring to our interaction in the thread about the Ethiopian Church and marijuana? If that's the case, you needn't worry about our having a similar interaction here, unless you're going to contend that the Oriental Orthodox Church already accepts some form of Charismatism and that is as it should be. I don't think that will be the case though. So again, if you want to answer all of those questions above, I am happy to resume our dialogue here and not in a new thread. Let me know. Hey, Antonious, why did you block me? "May the Lord our God remember in His kingdom all Holy Catholic Apostolic Church, which heralds the Word of Truth and fearlessly offers and distributes the Holy Oblation despite human deficiencies and persecutions moved by the powers of this world, in all time and unto the ages of ages." Wait, his name really is Hal? So again, if you want to answer all of those questions above, I am happy to resume our dialogue here and not in a new thread. Apparently so! 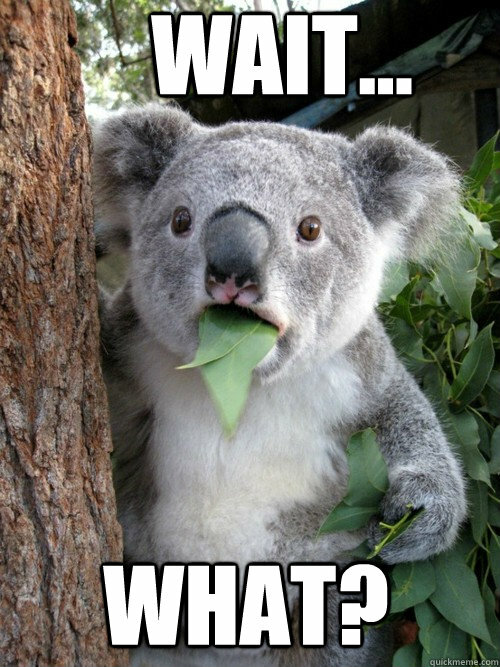 Hence, my stunned koala meme. It was all just too much. Holy cacophony from the Mount of Olives. This is awesome who's the bishop? Brilliant. Needs a real spear, tho -- or AK-47 to continue the reading woman's modern theme. HG Bishop David of New York and New England, Coptic Orthodox Church. Armenian Archbishop of Greece venerates relics of St Helena. Are Modern Standard Arabic (MSA) and the Egyptian dialect mutually intelligible? 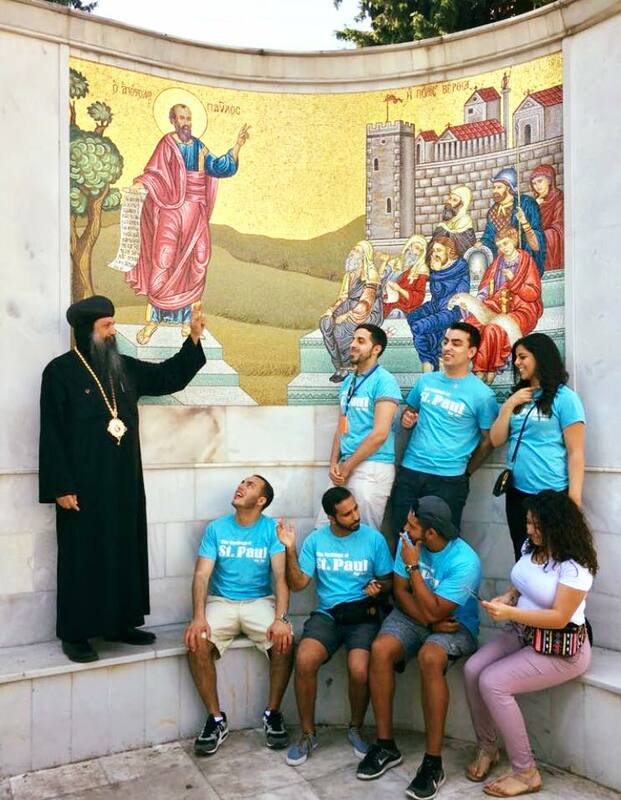 When I was at DLIFLC I was told by students taking MSA that the majority of the MSA teachers were Copts so I am assuming yes (when I was in Monterey there was a Coptic parish right outside the base with the parish priest being a monk-priest). Could someone give a rough translation of what is being said? Appreciated. Our previous Pope, Pope Shenouda, was considered a master of MSA better than the Islamic school professors of Arabic, since he was a man of literature and poetry. So Copts definitely do have a good working knowledge of MSA that could rival the Arab world. I would also say that Syrian Christians tend to also be really good at MSA as well. I don't think MSA and the colloquial Egyptian dialects would be mutually intelligible though, there's probably a lot of language interaction, but if we could pick an Egyptian from an isolate village with no exposition to MSA and make him watch the news in al-Jazeera, I don't think he'd grasp it. Dominika may correct me if I'm wrong. I can tell you clearly from my experience, yes. I can only understand colloquial Egyptian Arabic. MSA is very difficult for me. But that's also because I'm born and raised American. An educated Copt would know MSA (usually a good high school graduate). Arabic, like Chinese, has a number of dialects. Chinese dialects, generally speaking, aren't mutually intelligible (and thus the creation of Mandarin based off the dialects of Northern China) and thus my interest in the topic of Arabic dialects. I always wonder how it would be if the West never abandoned Latin. We'd probably use a simpler form of Ecclesiastical Latin, full of loans and modern words, and while places like England or Germany would have very clear boundaries between formal and colloquial language, we might still find code-switching on formal occasions, and Romance-speaking countries would have many levels, from completely vulgar to merely accented Latin, with a wide spectrum inbetween. You're speaking as tho Latin was a natural part of European life. It was nothing of the sort. The liturgy and the scriptures were official, and did not change until they were officially changed. The Latin of lawyers and scholars was a species of Esperanto, on the useful side, and one tool in an arsenal of intimidation and control, on the vicious side. I know, but Latin could have filled the gaps that standardisations of national languages did until the last purist natural scientists and theologians gave up. It would eventually be adapted to our communicational needs, just like MSA and Katharevousa. You're losing me here. Katharevousa was imposed (basically by the British; but I won't get into that now) upon a population that already spoke Greek. What significant natural population of the early modern era (1500 ff.) spoke Latin? Maybe the Romanians? I see it, I just imagine if persistent usage of refreshed forms of Latin had endured. Also, Romanian or Italian are surely different enough from Latin, but so are modern Arabic varieties from Quranic, I think. What a great honor to have for some days in our country the relics of saint Helena. I am so sad that I could't go to Athens. Awesome. I love Oriental Orthodox unity. Amen. This sort of thing always breaks my heart. I never become immune to it. There's never a time it doesn't hit me like a ton of bricks. God have mercy on them and save them. I worked security in a hospital and would have to stand by when children were declared dead/picked up by morticians. The saddest part of that job. You must've prayed a lot for strength and comfort for the families and for yourself. Lord, have mercy. I was once in the ER after a relative had a minor fall, and saw a boy of about 11 on a ventillator. The room he was in was on the corner, and the curtain was open; I don't look into hospital rooms, but when we were exiting after my relative was treated, we basically walked in front of it on our way out. I could see the boy's father holding his hand. Worst thing I've seen; I don't know if the boy recovered or not. I can only imagine they were waiting for a room in the ICU to open up, or for an ambulance or helicopter transfer to a children's hospital with a pediatric ICU (probably the latter). I can't say that I did. I just asked God, "Why?" and then became jaded.